I have enjoyed the tires that came on my car. I currently have 145,000 miles on a pair of these tires on the rear of my car. The front pair have over 90,000 miles! They were the only tires purchased for the car since the original tires were replaced starting at 20,000 miles. They still have tread on them and ride smooth. I'm sold on this brand and this model! Very pleased. Everything you look for in a good tire. I have not been in the snow with these, but I am sure they will be great seeing the tread and the reputation of Michelin. For comfort, ride and performance, and control I would choose nothing but a Michelin. I have seen many other less expensive tires, but I have found you get what you pay for and with Michelin you definitely get what you pay for. After 4 sets of different tires, I hit the jackpot. Fantastic performance and wear. I will NEVER buy anything else. I agree with these other reviews. 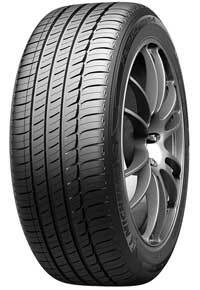 Tire has given solid, long-lasting performance. Best tire I have had on this vehicle and will buy again. Good wear, low noise, and great on snow/ice. Excellent run flat tires. No harsh ride like before, very quiet and smooth. Great traction! Great tire, very quiet performance. Snow and ice not as good as my old Nokian snow tires, but great for an all season performance tire. Service has been excellent. I replaced from the MIC50059(PILOT HX MXM4 V RATED) with 36k miles on the tires to the MIC32275 (PRIMACY MXM4 H RATED). There is a 100% difference in a V rated tire vs. an H rated tire. I was thinking of trading my DTS in and buying another car due to the handling and ride. It was not a Cadillac ride at all with the Primacy. When I purchased the Primacy, Michelin did not make an 18" H rated tire. The purchase of the Pilot H rated has brought me back to my Cadillac ride and I have become back to a big believer and trusting customer of Michelin. What a difference. I will continue to buy Michelin again and will recommend Michelin to anyone looking for a great tire that will perform to all limits. This tire gave me what I was looking for in all-weather handling and traction. I needed a tire that could handle highway and canyon (snow & dry) driving while providing a comfortable ride. These tires adhere to the road and have given me great traction in the snow. All things combined they provide a quite ride as well. These tires are great. I would definitely buy again. They do well in wet and snow, cornering is excellent and ride quality is superb and quiet.